Inserting and removing your contact lenses is probably a habit most contact lens wearers practice every day. However, even the most responsible people can break these habits. It is not out of the norm that every so often, contact lens wearers can stray away from healthy habits when it comes to caring for their lenses. Plenty of people practice the same common mistakes that could place their eyes at serious risk. 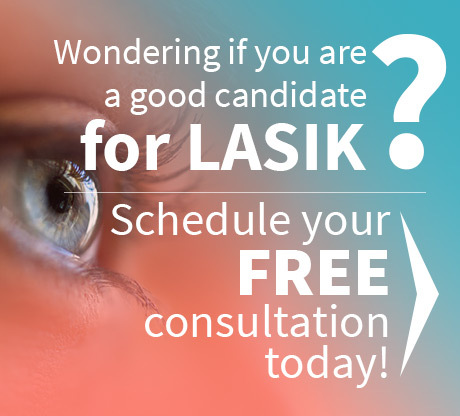 This is where advise from an eye specialist Houston doctor can come in handy. Your corneas, the outside layers of your eyes that are covered by contact lenses throughout the day need oxygen to function at optimum, healthy levels. Therefore, wearing your contacts throughout the night deprives the corneas of much needed oxygen leading to discomfort and major irritation, and in some cases, infection (microbial keratitis). Although there are some eye doctors and manufacturers that say it is acceptable to sleep in certain types of contacts, it is advisable to refrain from doing so. Most sources of water contain Acanthamoeba, a microorganism that can lead to a very painful infection, even blindness. When you swim or bathe in your contacts, this microorganism is prone to contact lenses and could increase your risk of eye injury. Any bacteria that is already living on your eye surface will serve as a food source for the microorganism and can amplify an already risky eye situation. Public sources of water are not completely sterile. Therefore, cleaning your contacts in such water can have the same harm as swimming or bathing in your contacts. To avoid infection, it is advisable to rinse and store your lenses with solution. Ensure your hands are clean before inserting or removing your contacts. Then, use all-new solution to rinse your lenses instead of adding new solution to old solution. A general guideline is to rub and rinse your contacts with solution on a daily basis after each use. It is advisable to replace your contact lens case every three months. However, some specialist recommend replacing it every month. Using the same case for months on end can result in the growth of bacteria and buildup of germ in the case as well as on the contact lenses. A 2012 study revealed the risk of infection in those who failed to properly clean the cases was six times greater and more than five times greater in those who rarely replaced their cases. Putting your contact lens case in the dishwasher can be very risky. The food particles, soap residue and public water can reduce the safety and quality of your case. You should always clean your contact lens case with solution and give it time to air-dry throughout the night. Many contact lens wearers admit to wearing their lenses well past their expiration dates. This is based on the perception that the lenses will last longer and save money. Old contacts will accumulate solution, proteins and germs that are invisible to the eye, and can increase the risk of infection and cause discomfort. It is best to follow your eye specialist’s instructions on proper contact lens care, and keep up good habits. Cutting corners here and there could mean serious problems for your eyes later on. 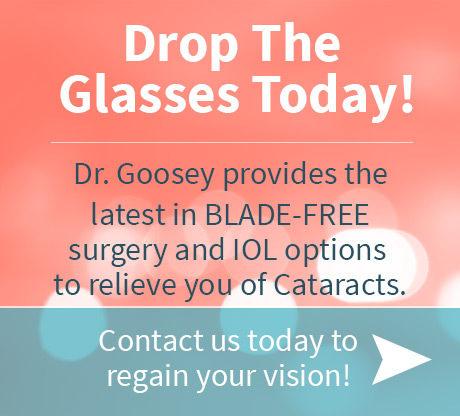 Contact Dr. Goosey’s office if you have any questions on contact lens care.